Christmas is in full swing around here. Our Christmas tree is shining brightly, the 8 foot Santa is gaily waving from the front lawn and Christmas photos are being snapped away. I recently had the opportunity to photograph this precious 3 month old. She was a complete delight and I can't wait to photograph her and her big brown eyes again. Between photographing adorable children and families, I've been doing some Christmas shopping for our family. Since many of our family members read this blog, I won't share with you the really cool gifts we've picked up for them. But I thought I would share 5 super cool gifts I discovered through my searching that you can pick up for members of your family all from the convenience of your computer. No shopping crowds... ah, that's the life! 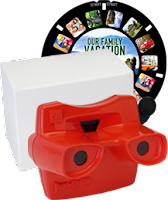 How cool would you be if you made someone their very own custom 3D reel viewer. 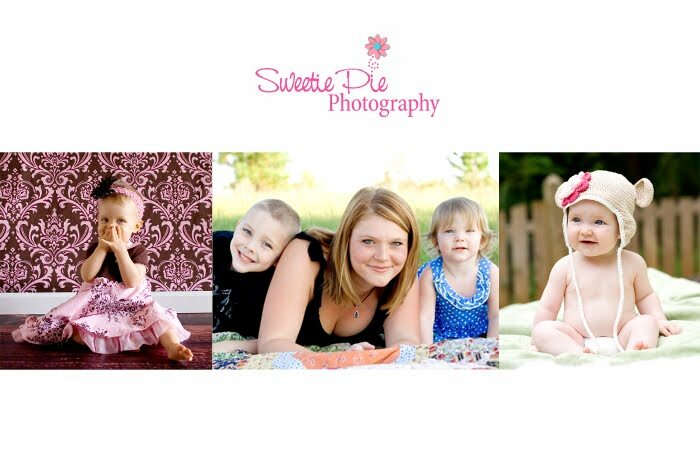 You can pick up the viewer and 1 reel of photos for $24.95 or you can add additional reels. Or better yet, you can include a new reel of photos from the past year each Christmas. What a great idea for grandparent presents! Click on the picture for a link to the website where you can order them. I live in a Disney household. Nearly anything Disney rules. While we haven't plastered the walls with Mickey Mouse wallpaper, the little clues are there and anyone who knows us knows of our affinity. We have two small girls and our oldest turned three this year and discovered Disney Princesses. This fall I learned that you can get an autographed photo of practically any Disney character for the cost of a piece of paper, an envelope and postage stamp. How cool is that? Simply send a letter to the character at: Disney World Communications; PO Box 10040, Lake Buena Vista, FL 32830-0040. How about making a glass photo pendant. That's right, make. Photo pendants are extremely popular right now. Ordering a custom photo pendant can be very pricey. But for a small fraction of that cost, you can make a custom photo pendant. 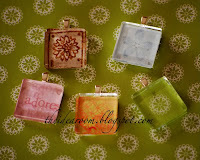 Or you can use some pretty scrapbooking paper from your local craft store to make a pendant. Click on the picture for really simple step by step directions and a supply list. You can never go wrong with something sweet. Who doesn't like a sweet treat? I know I do. And who hasn't gone to bake up a treat only to discover they're either missing or are short on an ingredient? Cookies in a jar is a wonderful and easy gift. The premise is you put all of the dry ingredients for baking cookies into a jar. For detailed directions as well as some super cute free printables to dress up your gift, click the image to the right. Every year we make our parents custom calendars for the next year. I'm not concerned about them seeing this post because they already know they're coming. I use photos of our family (including our extended family) from throughout the previous year. You can make it as simple (1 photo per page) or as complicated (read: collage) as you want. If it's your first go, I recommend 1 photo per month. It's just easier. Some printers allow you to customize the dates as well so you can insert text and pictures on important dates. You're gifting them a calendar (who doesn't need one of those suckers?) and you're giving them pictures (let's face it, we never give them enough). So it's a double present. Score!